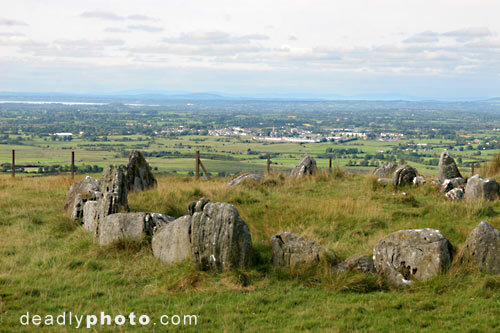 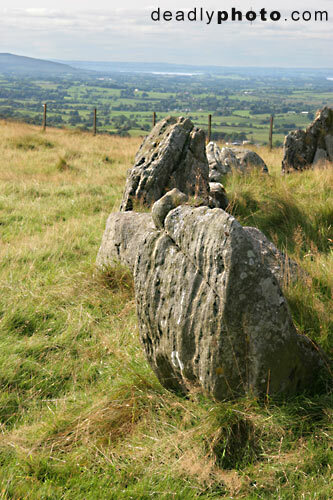 I’d visited most of the major megalithic sites in Ireland, but somehow had never made it to Loughcrew, or as its also known Sliabh na Caillí – The Hill of the Witch. 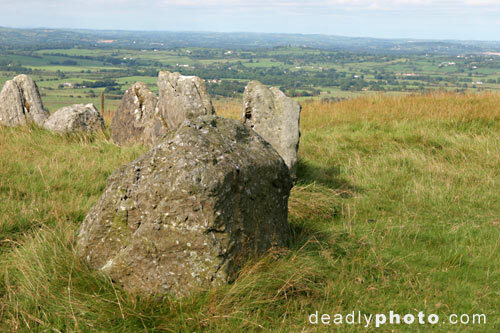 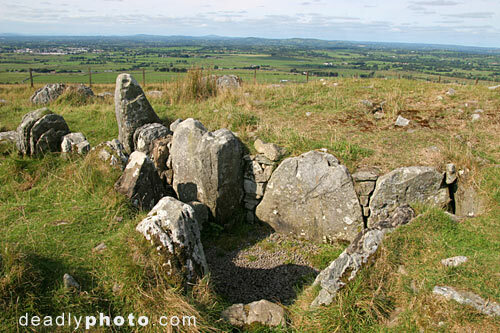 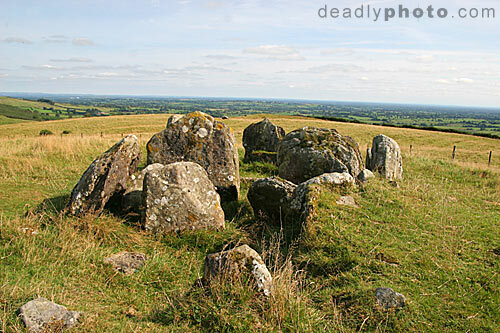 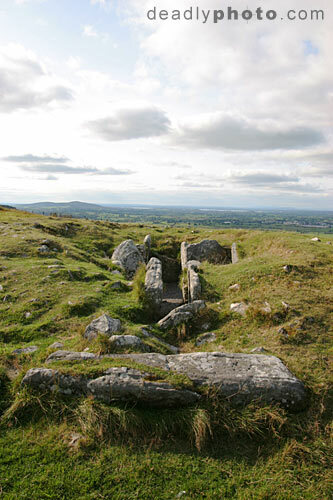 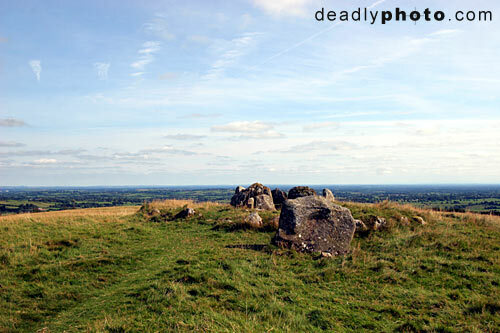 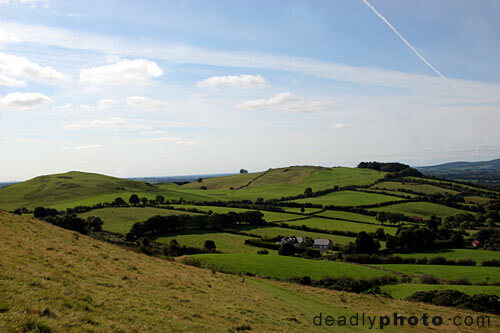 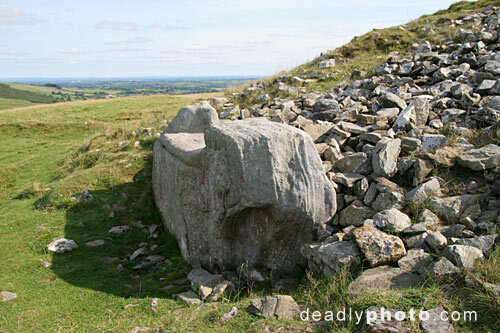 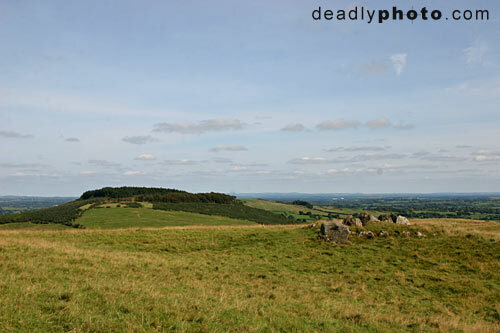 There’s dozens of tombs scattered across two hills – Carnbane East and West, looking down upon the County Meath village of Oldcastle. 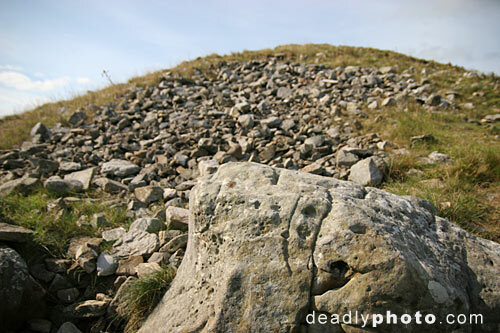 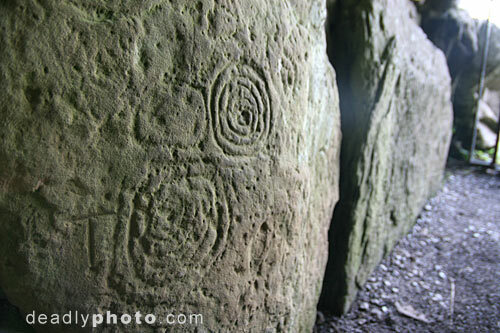 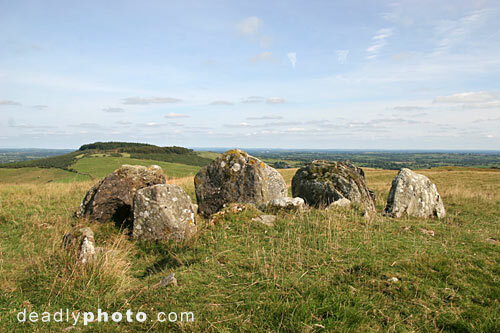 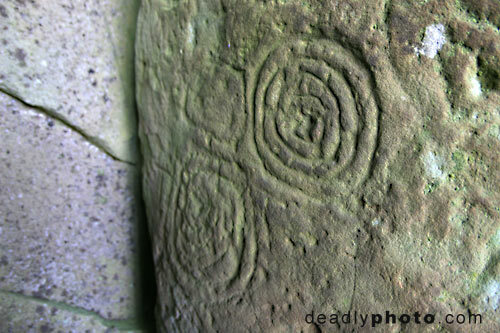 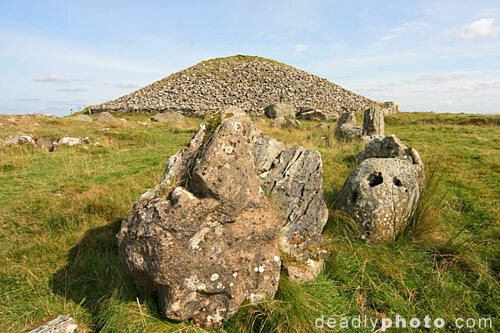 Although not as visually impressive as the remodelled behemoth that is Newgrange, Loughcrew as a significance of its own. 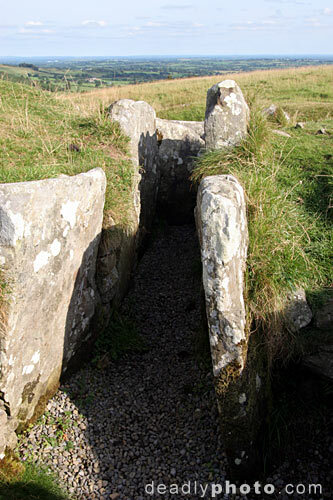 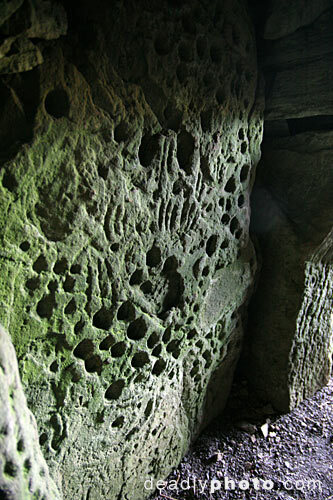 While the main chamber is illuminated at sunrise on the Winter solstice, Cairn T at Lough crew does the same at sunrise on the autumn Equinox – with light coming into the chamber onto the megalithic art inside. 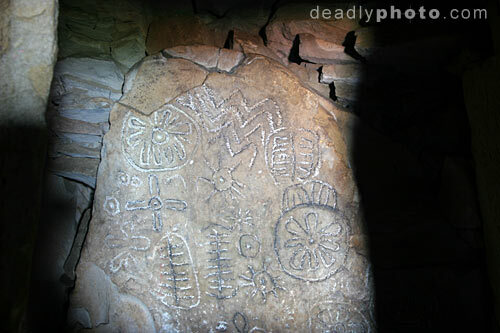 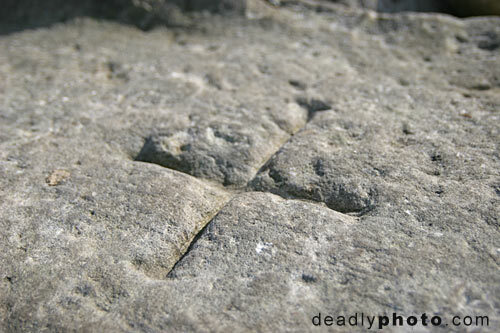 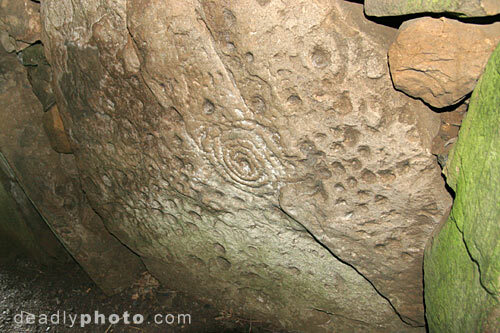 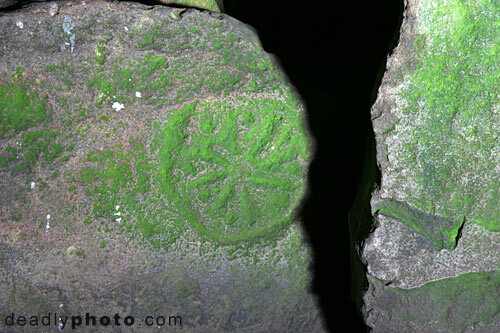 As the light moves along the solar symbols carved into the rock, the sunlight is formed into a beam by the entrance stones. 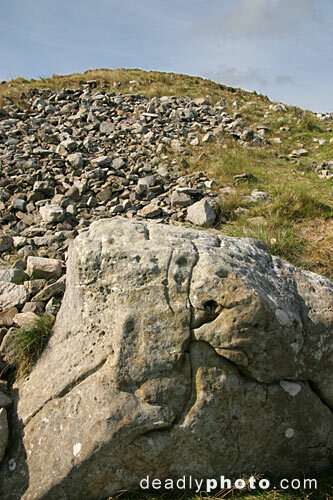 All of these are from Carnbane East which includes Cairn T.
Thanks for sharing. 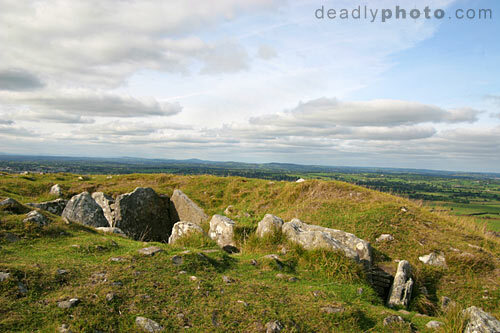 I never heard of this place but there is SO much to look at in Ireland I am not suprised. 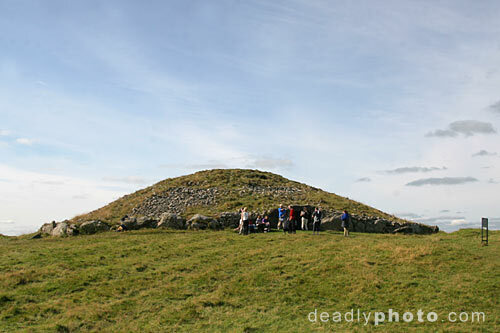 I think the Grianan of Aileach is something. 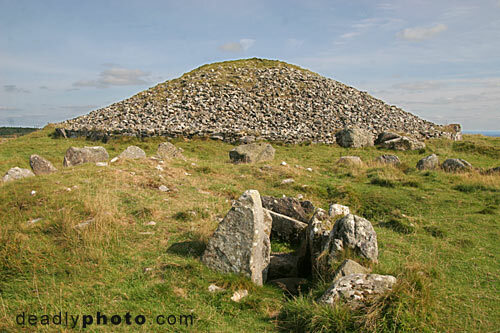 My favorite towns are Shrule, Mayo (shrule.com) and Shannonbridge, Offly. 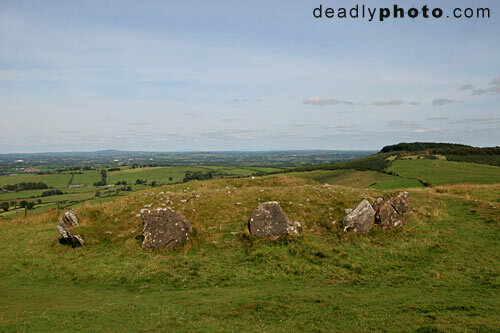 Fetherd, Tipperary is a trip, as is Yougall. 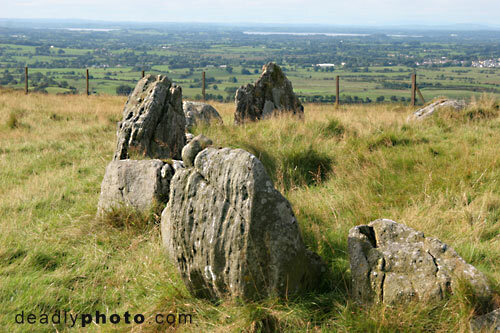 Relatives on my dad’s side live near Rockfleet(do image search).